New 13 amp electric conversion for Aga cookers. Independently controlled ovens and Hot plates. 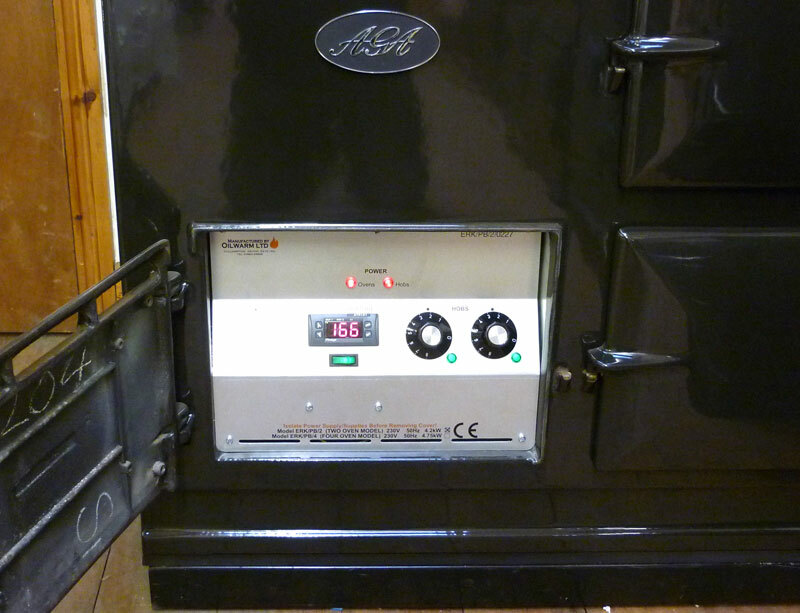 We can convert your 2 or 4 oven Aga cooker from solid fuel, oil or gas. 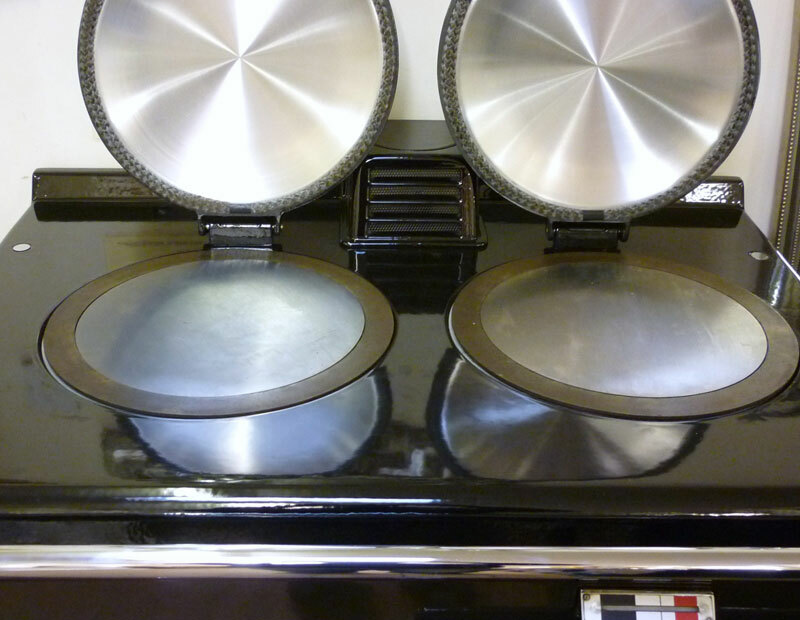 We sell fully reconditioned Aga cookers converted to run on 13 amp electric. One element sits between the 2 ovens that controls the oven temperatures. The temperature is controlled by a simple easy to use digital control. Simply set the desired temperature on the digital control and the top oven will heat up to desired setting. From cold to 200°C this takes approx 1 hour 45 minutes. The hot plates are independently controlled using their own thermostats and elements. Frying from cold takes approx 15 minutes. An extra element with its own control is added to heat up the left hand ovens. 2 x 13 amp fused switched spurs are required. Alternatively a split 30 amp supply can be used. These are approx temperatures after the top oven as heated up and been allowed to settle for approx 30 minutes. The hobs were used only when required, this gave a total annual usage of 2064 kW used.